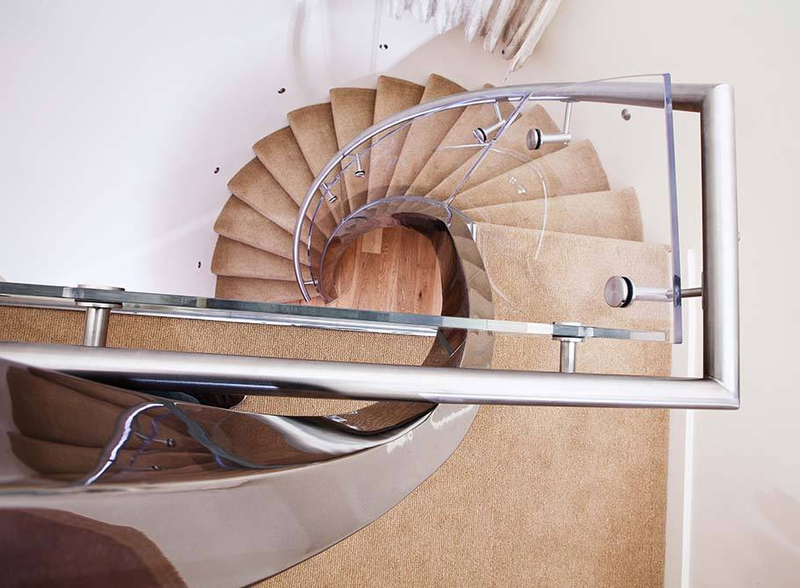 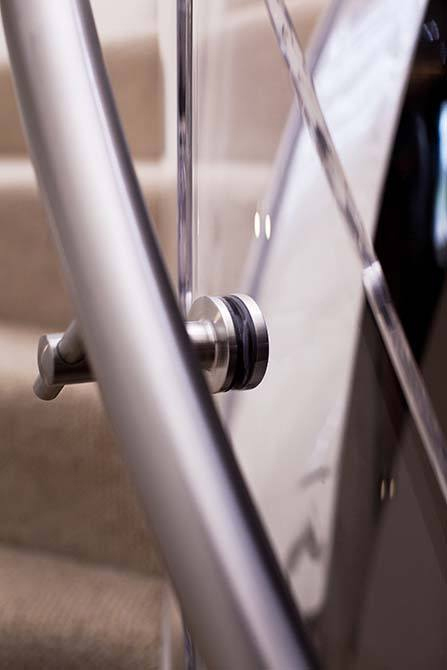 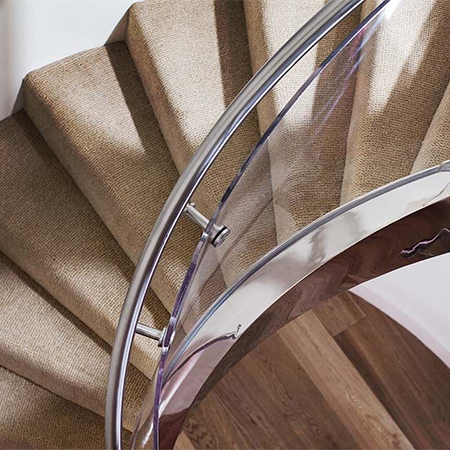 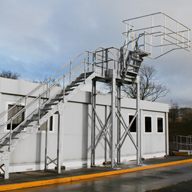 Canal has delivered a helical staircase built within the inside of a turret for a refurbishment project in Jersey. 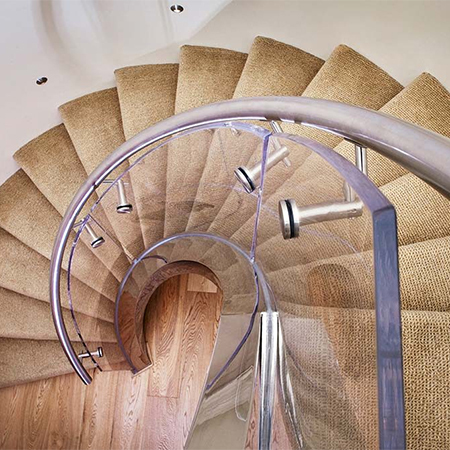 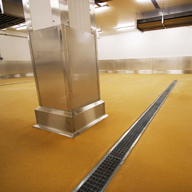 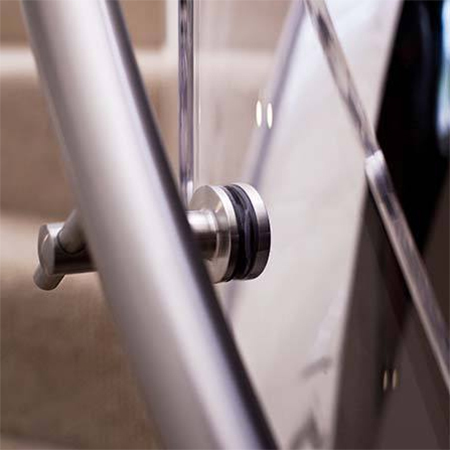 The seamless finish involved the outer stringer to be semi-fixed to the circular wall. 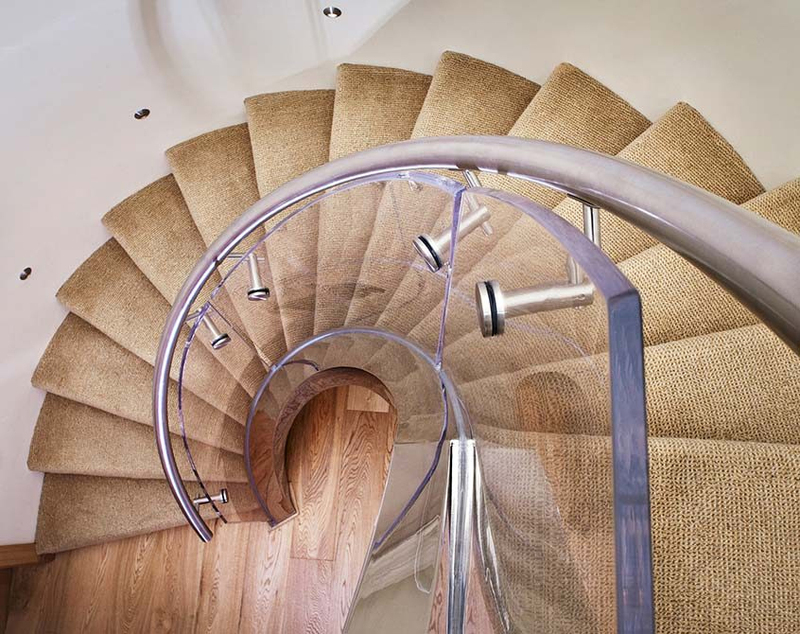 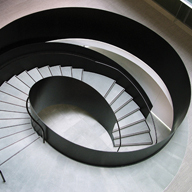 The existing wall was then plastered to hide any steel to make the helical stair look effortlessly placed. 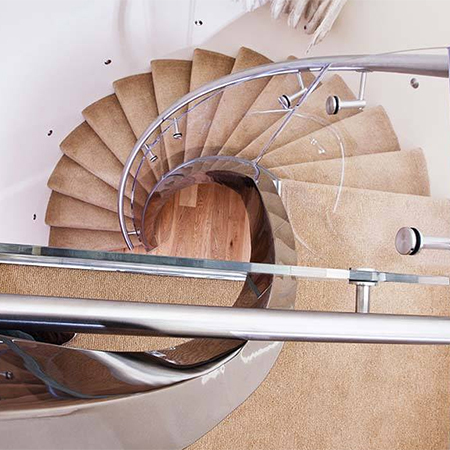 The inner stringer is a helical stainless steel box section which was ribbon fabricated using individual plates, each section laser cut before they were welded together. 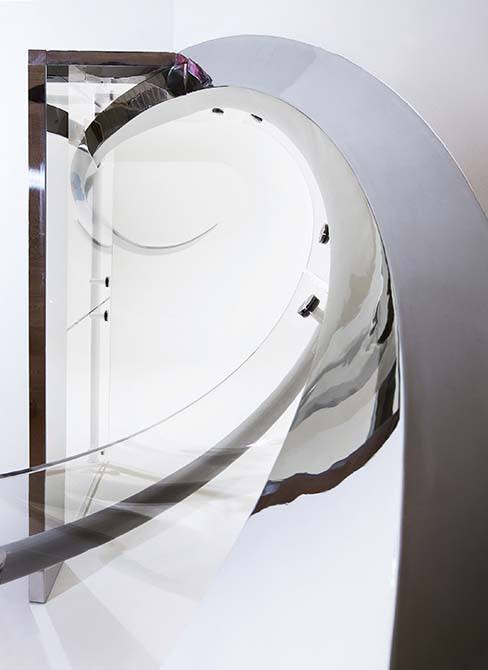 The plates were also mirror-polished before installation. 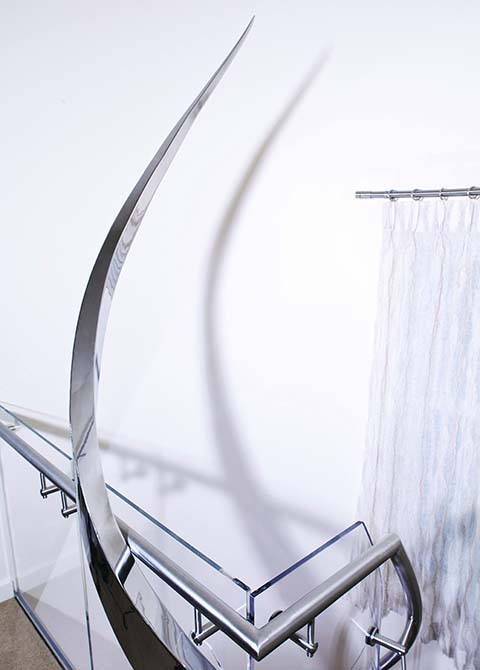 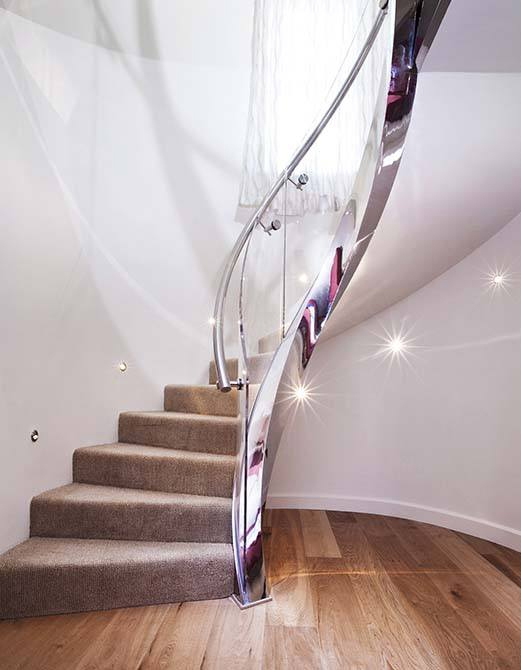 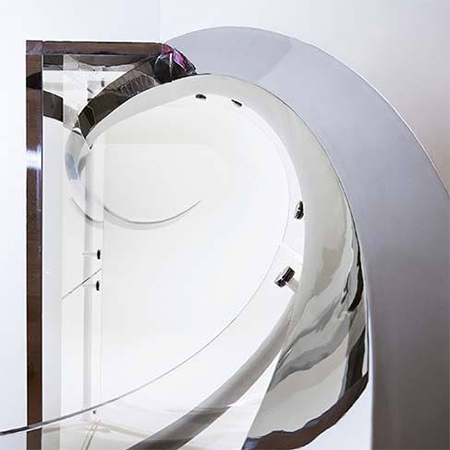 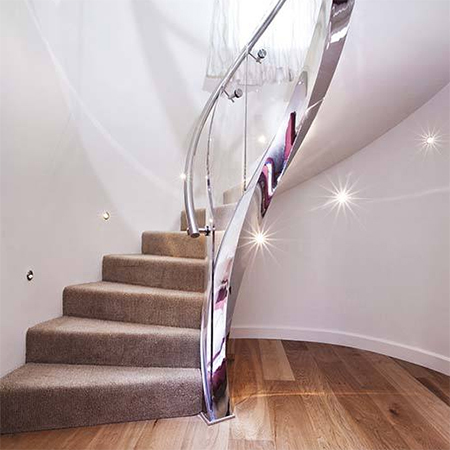 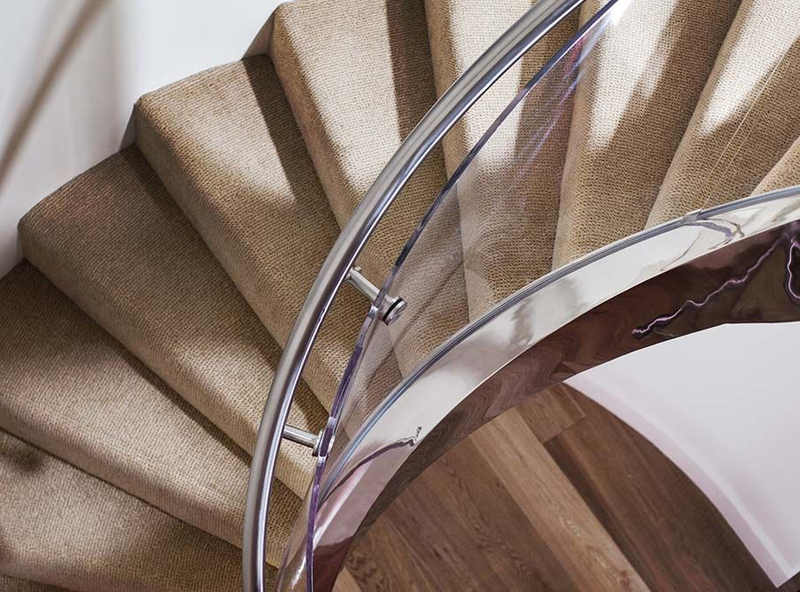 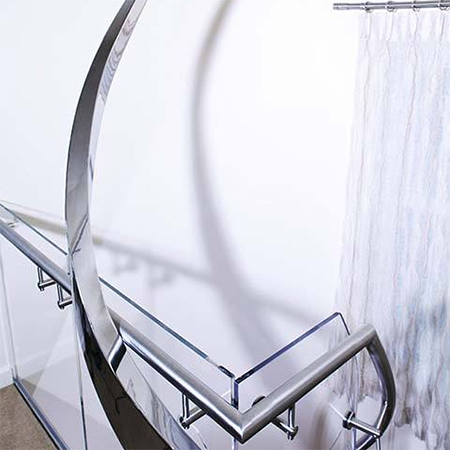 For added impact and artistic effect, the helical ribbon continues past the top of the stair, passing through a cut-out in the acrylic balustrade panel and then tapers to a point creating a sculptural piece of mirror polished stainless steel art.